Famous Iraqi-British architect Zaha Hadid may have passed away earlier this year, but her legendary designs continue to live on. 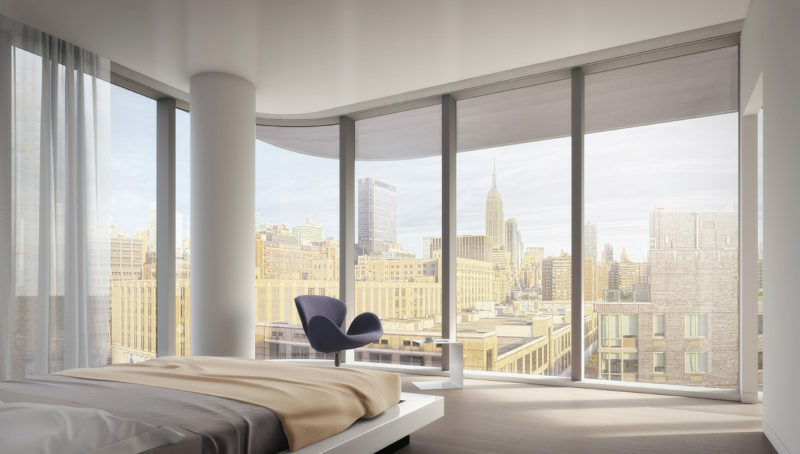 Just recently, one of Hadid’s final residential projects, 520 West 28th, located in New York City, has come on the market. 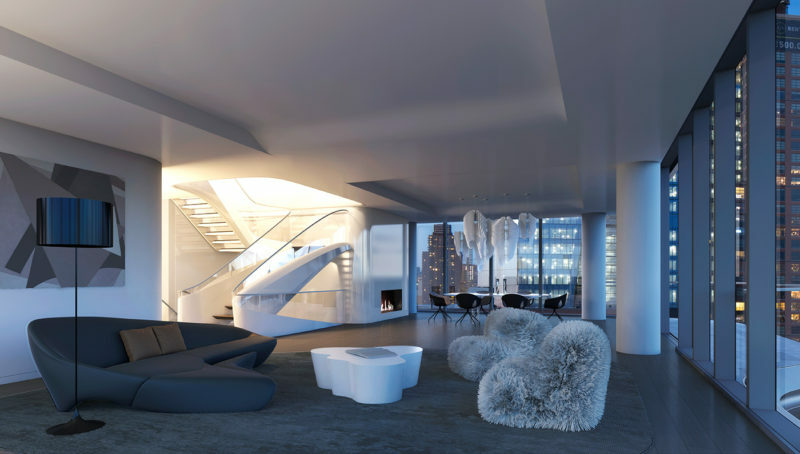 The residential tower features Hadid’s signature avant-garde style with curvaceous lines and airy, glass-enclosed spaces. 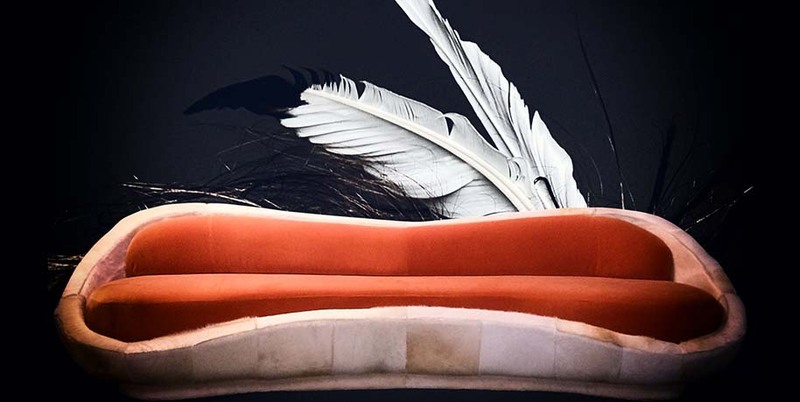 The highlight of the building is the 6,853-square-foot penthouse which includes five bedrooms, six-and-a-half bathrooms, two private balconies and a 2,218-square-foot terrace. The penthouse comprises three storeys of the building which are linked together with a magnificent, modern staircase that forms a focal point of the residence. The penthouse contains two kitchens: one an interior kitchen with sculpted marble counter tops and sleek appliances, and the other an outdoor kitchen on the terrace which is perfect for hosting summer soirees. Other features include a wet bar, a library, a private elevator, 11 foot high ceilings and floor-to-ceiling windows. The penthouse is currently listed at $50 million. Interested parties can find more information at 520w28.com.